A graduate with a degree in fire science can enter administrative positions within this field, depending upon the location of the fire department and its size. But, someone with this degree also can obtain a job in professions other than firefighting. Traditional careers include firefighters, fire investigators, and fire inspectors; however, this degree can also open doors to jobs in emergency management, homeland security and forensics. While fire departments have individualized practices for fighting and preventing fires, nationwide governmental organizations such as the U.S. Fire Administration (USFA) seek to create uniform fire safety measures to protect firefighters through fire prevention and control. The USFA along with the Federal Emergency Management Agency (FEMA) recently issued fire estimate summaries, which serve as great resource tools for fire services members and the public to obtain general information regarding fire issues that impact the nation’s communities. This information can reduce the risk of deaths, injuries, and property loss across the U.S.
For example, information released from those USFA and FEMA studies showed that rural residential fires are mostly caused by heating, cooking, electrical distribution, and arson. 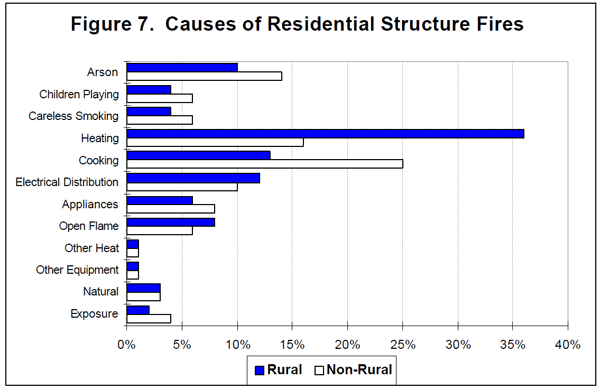 This information normally would not be available for rural areas, as smaller fire departments cannot afford to pay for fire investigators or inspectors. These studies can highlight specific issues and make firefighting a safer profession across the country, even for smaller fire departments until they grow to afford individuals who can conduct fire investigations. These “Fire Estimate Summaries” present information on the size and status of the fire problem in the U.S. as depicted through data collected in the USFA’s National Fire Incident Reporting System (NFIRS). Firefighters can work at government-funded departments, volunteer departments, and independent fire companies. Each fire department has its own needs according to the population it serves. When the population grows, this growth allows for larger fire departments through residential taxation. Accordingly, with area growth comes new jobs required for these larger departments. Not every fire department can afford to hire fire inspectors and fire investigators. Additionally, many firefighters are volunteers who must go through the same rigorous training as paid personnel. Although nationwide studies can help large and small fire departments become safer environments, a firefighter may find that larger urban fire companies offer more jobs and higher salaries. While rural fire departments often pay the fire chief, the staff may consist totally of volunteers. 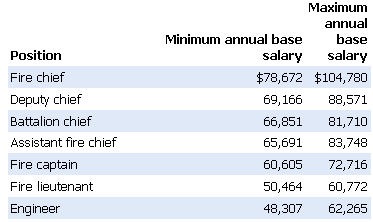 On the other hand, a hierarchy of employment exists in urban fire departments, starting at the bottom with fire engineers who can earn, at minimum, an average salary of $48,307 per year. Firefighters who average more than a certain number of work hours per week are required to be paid overtime, and firefighters often work extra shifts to maintain minimum staffing levels during special emergencies. The threshold is determined by the department. Additionally, a majority of firefighters are union members or covered by a union contract. In larger departments, employees often are covered by medical and liability insurance, vacation and sick leave, and some paid holidays. Almost all fire departments provide protective clothing and breathing apparatuses, and many also provide dress uniforms. Fire fighters generally are covered by pension plans, often offering retirement at half pay after 25 years of service or if the individual is disabled in the line of duty. Of the 102 firefighters killed in the line of duty in 2000, 99 were men and three were women. 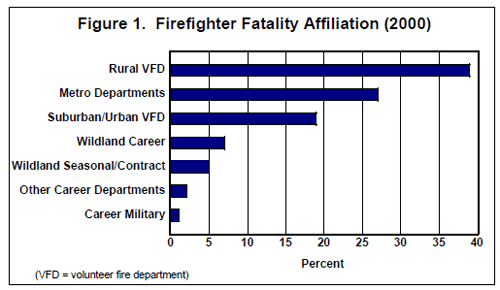 Overall, 63 percent of fatalities were volunteers and 37 percent were career personnel. These numbers are not surprising, since many fire departments in the U.S. are comprised solely of volunteers rather than paid firefighters. These numbers also show why seasoned firefighters often seek new careers that can pay more or that show promise for career advancement and less danger. A degree in fire science is the first step in that upwardly-mobile direction. Training and certification in other fields closely related to fire science also opens doors to new and less demanding jobs. Emergency Medical Services: As part of this effort to make fire safety more uniform, even smaller or more rural fire departments require firefighters to gain education in emergency medical assistance. The education that a firefighter can obtain along these lines is just one example of how to expand a firefighting career into another field, such as employment as an emergency medical technician or paramedic. Employment for EMTs and paramedics is expected to grow about as fast as the average for all occupations through 2018. 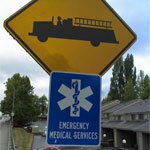 Job prospects should be good, particularly in cities and for private ambulance services. In addition, full-time paid EMTs and paramedics will be needed to replace unpaid volunteers. Emergency medical service agencies, just like fire departments, find it increasingly difficult to recruit and retain unpaid volunteers because of the amount of training and the large time commitment these positions require. As a result, more paid EMTs and paramedics are needed. These salaries depend on the employment setting and geographic location of their jobs, as well as training and experience. The average hourly salary was $14.10 in May 2008. The average hourly salary in the industries employing the largest numbers of EMTs and paramedics in May 2008 was $12.99 in other ambulatory healthcare services and $15.45 in local government. Inspection and Investigation: Another related career includes fire inspection and investigation. Job seekers for this position should expect keen competition. Those who have completed some fire suppression education or have experience in it, or those who have experience and training related to criminal investigation should have an advantage. The average salary for this position in 2008 was $53,030. Police and Detectives: Graduates with a fire science degree also can train as police or detectives. These careers, which involve protecting lives and property, can be just as dangerous as firefighting. Further training at the U.S. Marine Corps base in Quantico, Virginia, or the Federal Law Enforcement Training Center in Glynco, Georgia can lead to a career as an FBI agent. An applicant for this job also must have one of the following: a college major in accounting, electrical engineering, information technology, or computer science; fluency in a foreign language; a degree from an accredited law school; or 3 years of related full-time work experience. Police and detective supervisors: $75,490. Federal law provides special salary rates to federal employees who serve in law enforcement. Total earnings for local, state, and special police and detectives frequently exceed the stated salary because of payments for overtime, which can be significant. 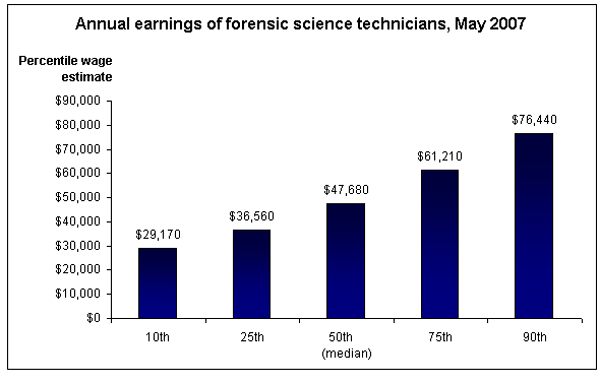 Forensic Sciences: Students do not need to specialize at the undergraduate level for a forensic science technician [PDF] career. In fact, broad training in numerous forensic specialties allows for more job flexibility. A fire inspector or investigator is a type of forensic scientist, and further training and higher degrees can allow an individual to become a lab director. Those with a Ph.D. also may teach forensic science at the college or university level. A job can help pay the bills, but a career focus can allow for advancement, personal fulfillment, and more job satisfaction. It is up to the individual to plan a career; however, most individuals with experience and an advanced degree have more opportunities to move upward in a job or to expand career options. A master’s or doctoral degree also provides opportunities to teach in trade schools, colleges, or universities. Learning fire science and obtaining a degree in that field is just one step that can lead to exciting opportunities in a variety of sciences. Jobs within this field and even in related areas can be fulfilling and can provide individuals with the means to serve entire communities in positive ways. A career in an urban area can provide a higher salary and more opportunities for advancement. Fortunately, training and experience both count toward advancement in this field, even in rural areas.